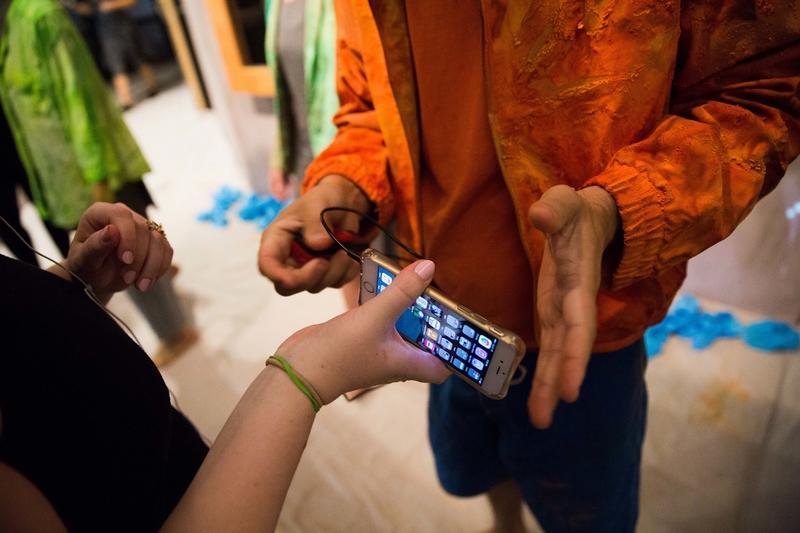 I’ve been working lately with the Vibrant Lives team on performative, haptic approaches to understanding data. 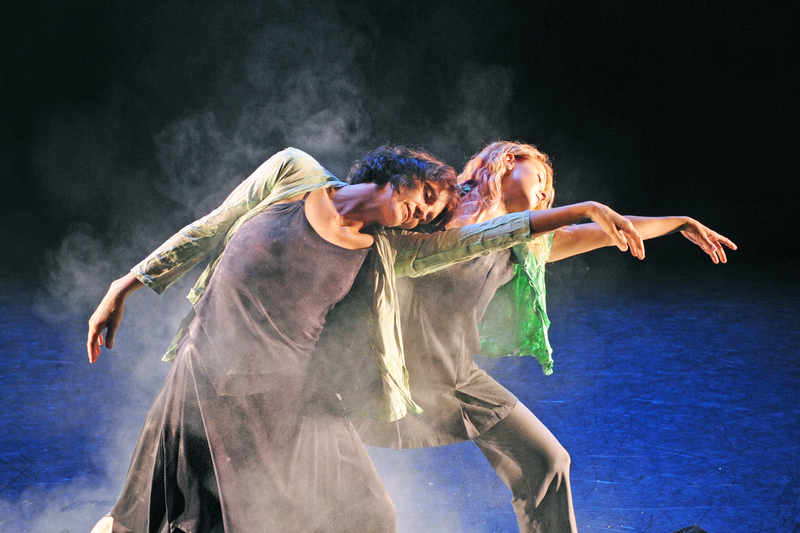 This first took the form of our Vibrant Lives performance this fall at ASU’s Fall Forward showcase. Since then, we’ve been playing around with lots of different modalities for engaging with data and we’ve been talking a lot – mostly amongst ourselves, but also with folks who have been attending HSCollab’s “Critical Conversations” lunchtime series. We are lucky that the gracious folks at DHSI have agreed to host a Vibrant Lives installation during the first week of this summer’s events. We’ve significantly modified our first performance, which took up three rooms and involved an entire flock of dancers and a lot of dust. You can see the full gallery of images and a video of the installation on her website. The piece will be hanging and there will be haptic devices that will be “playing” the collective data shed in the room. There will also be an evening installation event that will incorporate realtime work and discussion. We will be weaving together bodies, technologies, spaces, and objects into an enactment of vibrant data. I’ve been thinking a lot about Carolyn Steedman’s work in Dust and the invocation of the rag rug her in work, as well as about ends, endings, traces, and trailing – all of which really seem to harmonize with Jane Bennett’s work on Vibrant Matter and work in the vein of Karen Barad. I find myself wondering about everyday objects and their effects, their “quasi-agential” qualities. While I do argue that data can have a similarly vibrant life of its own, around here we say that there is no data without people, without bodies. I really enjoy the ways that our work is pushing me to think hard about this. One thing I’ve found is that I’m thinking a lot about what isn’t captured about life in cellular or digital data, about the archival “data” of drawers, dust, etc. There’s a lot that is sent out in swirling waves of digital dust when we connect, but it seems to me that even does not make it into that particular kind of dust, which sends me back to Steedman’s notion of the rug, the drawer, the quotidian. I spend a lot of time thinking and talking about dead people and their remains, whether in archive, performance, or elsewhere. But the Vibrant Lives performances have been largely about living people and the data that we shed as we move through connected cultures. I’ve also been thinking about my role in our performance. In our first version, I was in the “scholars room” with Jentery Sayers and Nina Belojevic and part of what we did was talk about how the Vibrant Lives app worked. It was good, but I want something a bit different, a bit less didactic for our DHSI performance. I also want to do something that reaches out and makes apparent the remarkable networks that sustain me in my work. I would not be able to do what I do were it not for the work already done by feminist scholars, artists, and activists, nor would I be able to sustain my work and myself without groups like FemTechNet. 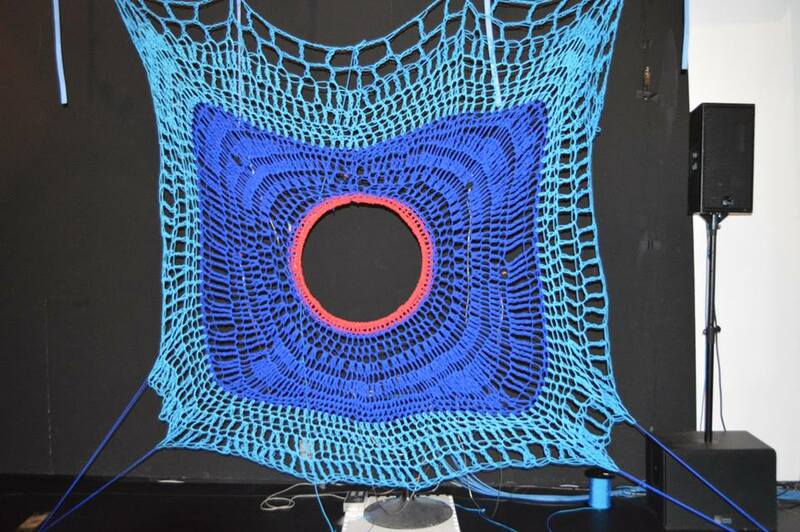 So, in the spirit of Steedman’s rag rug and other related models, I’d like to ask my “nets” – all of you who make up the networks that sustain this work – to help me weave a bit of an analog network into our vibrating, vibrant web for Vibrant Lives @ DHSI. 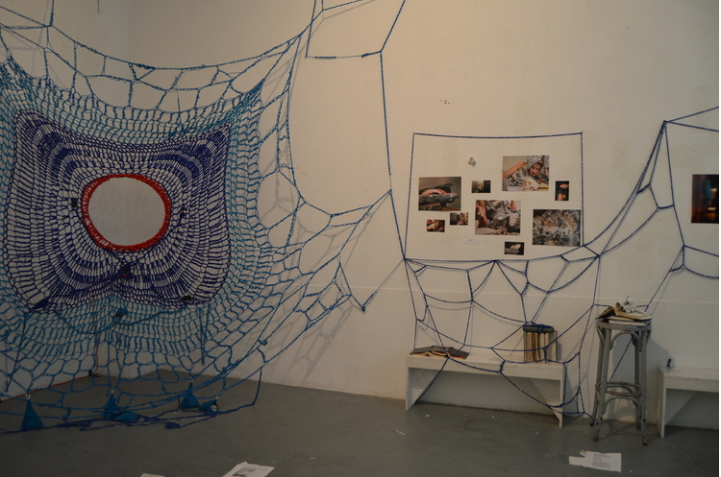 Send me a bit, a trace, an item, a piece of your everyday and I’ll sit with it and weave it into our net at DHSI. It can be fabric, or not. I don’t have much in the way of restrictions except that you be willing to have it appear and be incorporated into the net and that it fit in an envelope. If you’d like, feel free to send along a few words of context or a thought you’d like to share and I’ll find a way to incorporate that as well. If you’d like us to acknowledge your contributions (which I will happily do), please include a note to that effect. I’m also happy to take silent contributions if that is your preference. You don’t need to know anyone of us well in order to contribute – if you’re seeing these words, that is enough.